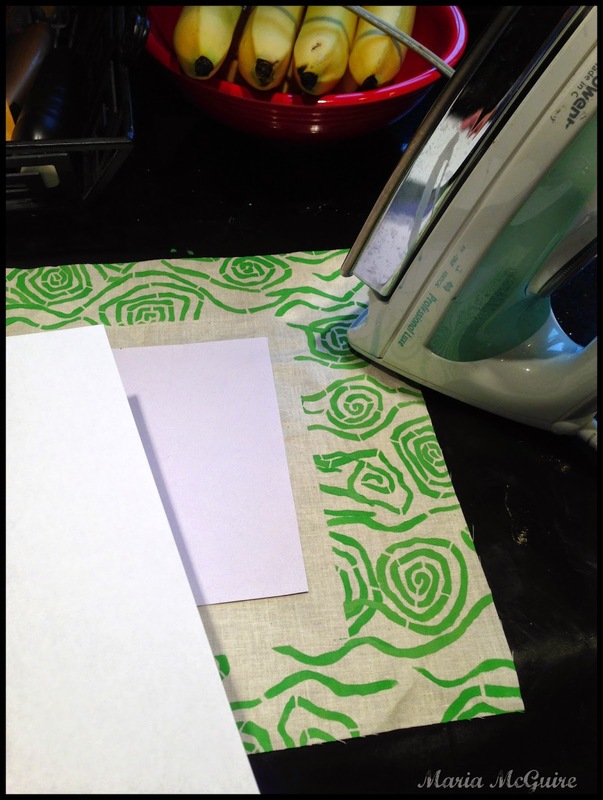 Stencils, fabric and TAP...now that = FUN!!!! I was so excited to try Lesley Riley's TAP Transfer Artist Paper and I had the perfect photo that I wanted to try. One day my husband and I were driving down the street and I said "STOP!!! "....of course that caused a very high heart rate in a certain husband, but that is a story for another day. I jumped out of the car and took this photo. 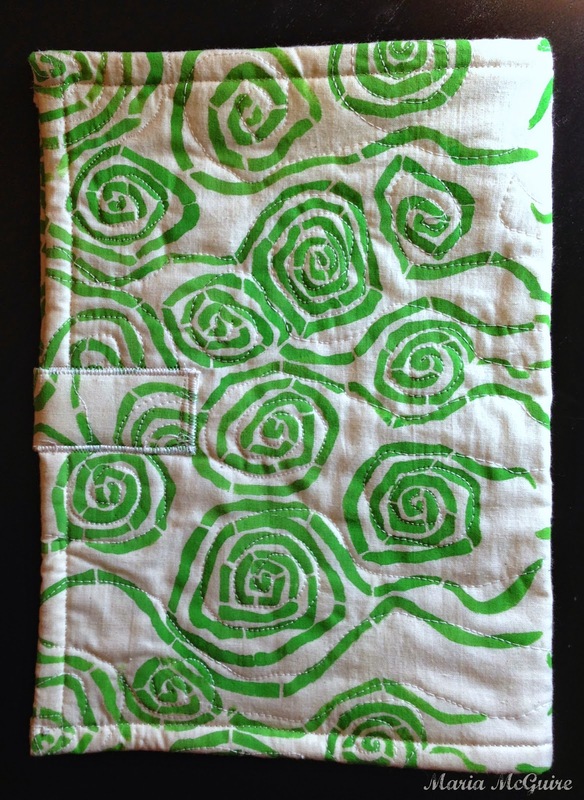 A fabric cover for watercolor signatures to make my own customized art journal. Starting with an off white piece of muslin, I cut a scrap piece of paper the size of my photo and taped it down where I wanted the photo to go on the project. This would protect it while I stenciled. 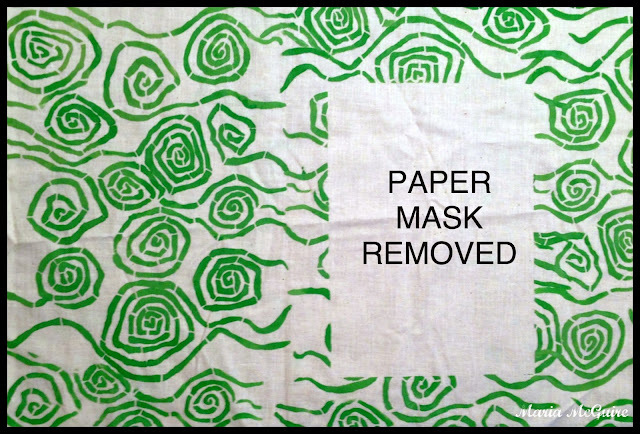 I then used the Eddy Rose stencil from StencilGirl to stencil the entire piece of fabric. Here is what it looked like after I removed the paper mask. I'm telling you, who needs to buy fabric when you can make it yourself. This is one of my all time FAVORITE stencils! I then followed the instructions that came along with the TAP and printed the photo on the white side of the TAP. Just a note here: make sure if you are putting text on your photo (like I did here) to use the mirror image setting when printing. 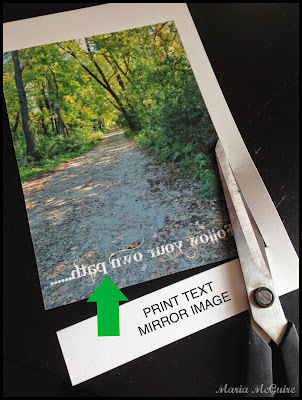 I trimmed away the TAP that was left around the photo after printed and following the directions, ironed it onto my fabric. As you can see I used another piece of scrap paper to cover the photo when ironing. Yes, I ironed right on the kitchen counter. Ironing not my strong suit, LOL! I got a perfect image transfer and was I doing a HAPPY dance! Years of doing less than perfect image transfers with a variety of methods and then getting PERFECTION on the first try--I'm SOLD!!! 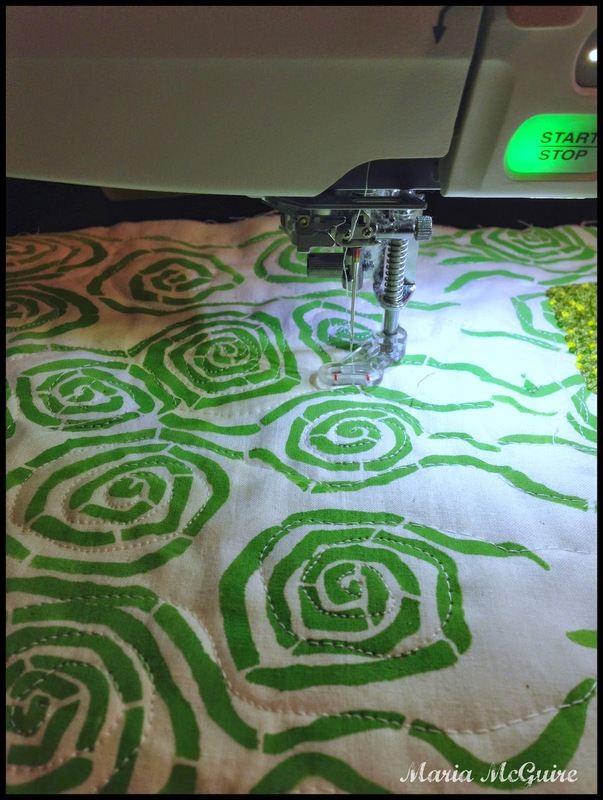 This is what my fabric looked like when complete. Look at that close up of the image transfer--INCREDIBLE!!! 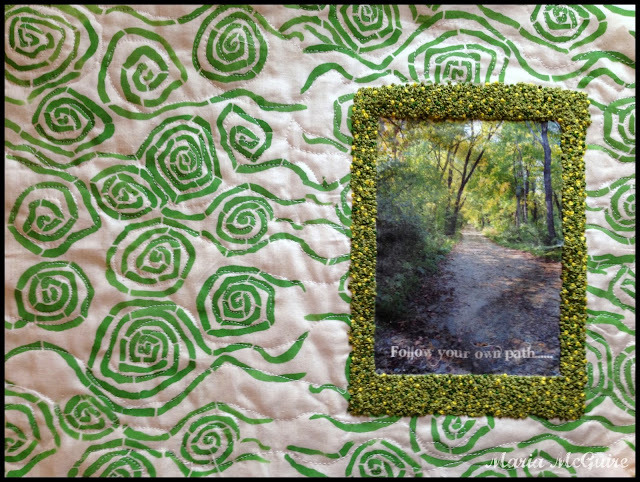 Final details including a little free motion quilting, just playing around to add some texture. My cover is all ready for me to sew in my watercolor signatures. I love to make my own journals like this. The size I want and the satisfaction of making it myself from beginning to end. 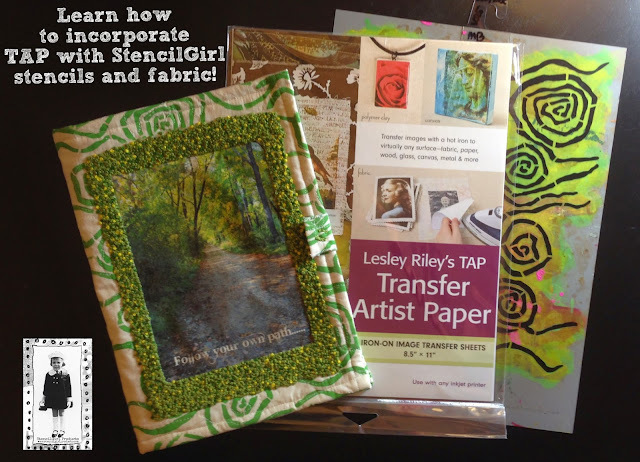 A BIG thank you to Lesley for sharing her product with the StencilGirl Team. As a matter of fact, I have another project that I'm dying to show you incorporating the two! How cool is that! I love the french knots. They add so much to this beautiful keepsake. This is a great idea! Looking forward to trying this. The stencils are so inspiring! That is an amazing piece of art. 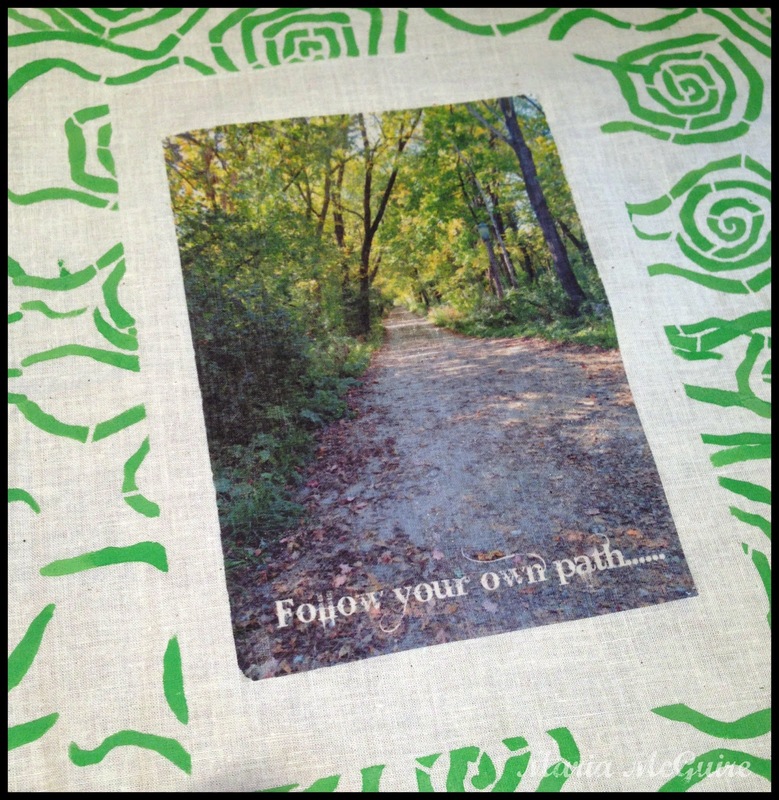 I've never tried using a photo on fabric. That is truly amazing in color and detail. Thanks for sharing your talent. I'm not much for needlework (no patience), but I can do the french knots. That looks like a fun project. Holy cow! All those french knots must have taken forever and real talent! I have never perfected the french knot :( . It is truly a beautiful journal cover! I love the combination of hand work with the TAP and stencils - the best of all worlds. Thanks for sharing. It is 2 million French knots on there! Love the serene feeling of the greens- your peaceful image and the flowing feeling of Eddy Rose! 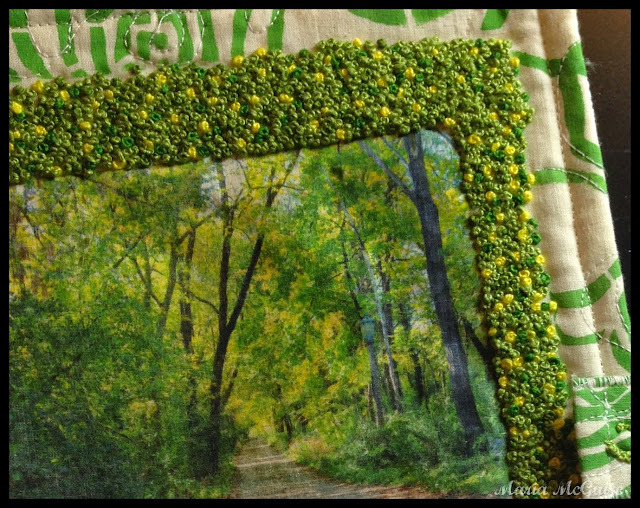 I can hardly do one French knot, Maria, but your million look great! Love your photo. If I could create art like that, it would be framed behind glass. Thanks for all the great tips. You are so brave doing all of those french knots. Those are not my favorite - I'll do anything to keep from having to do many of them. the cover is beautiful. The effort was well worth it. thanks for sharing a wonderful story and project. You husband is probably used to you jumping out to take pictures. Wow! Beautiful!! I love everything about this journal cover. And those french knots really tie it all together. Great project, Maria! Oh, Maria! This is absolutely STUNNING!! The combination of colors and textures and text and the image! Love that you are making your own book! You are the queen of French knots! I really admire this work. You're pretty amazing, my friend. The transfer came out amazing and your knots.. well, golly, stunning. Wow!! So beautiful. What a great place to end the hop. 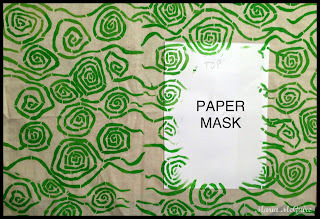 I'm so inspired and can't wait to experiment with some TAP and my stencils. Thank you!!! That photograph is stunning, Maria, and probably well worth the little tachycardia that your husband had to endure. 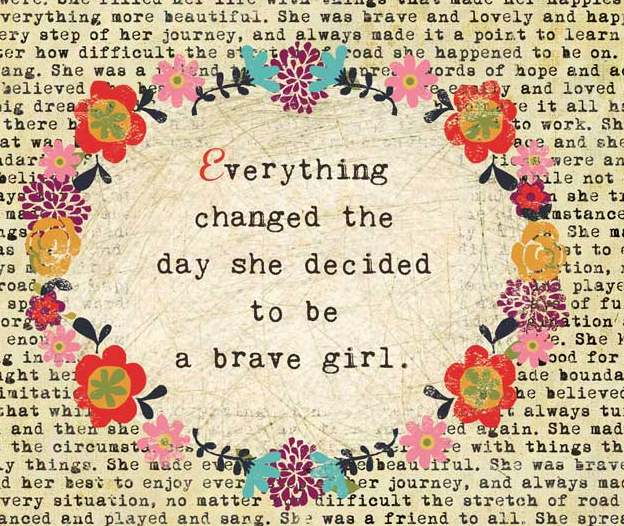 And just look at your end product….over the moon, girl!!! I love it! and all those french knots, WOWZA!!! 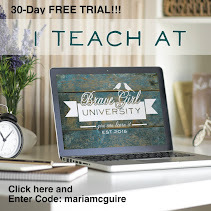 Thank you for doing the blog hop - I'm super inspired! Maria, this is AMAZING!!! 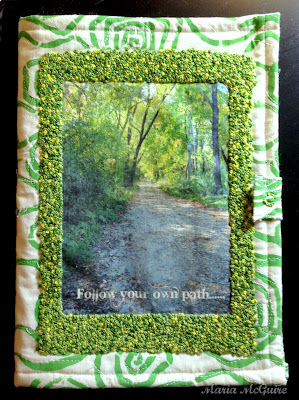 I might have to steal this idea... the transfer turned out perfect, and all those French knots? I thought it was beading. That looks so cool! And I love the stitching too... I need to try that (I don't even know if my machine can do that! I doubt it... lol.) Thanks for sharing! 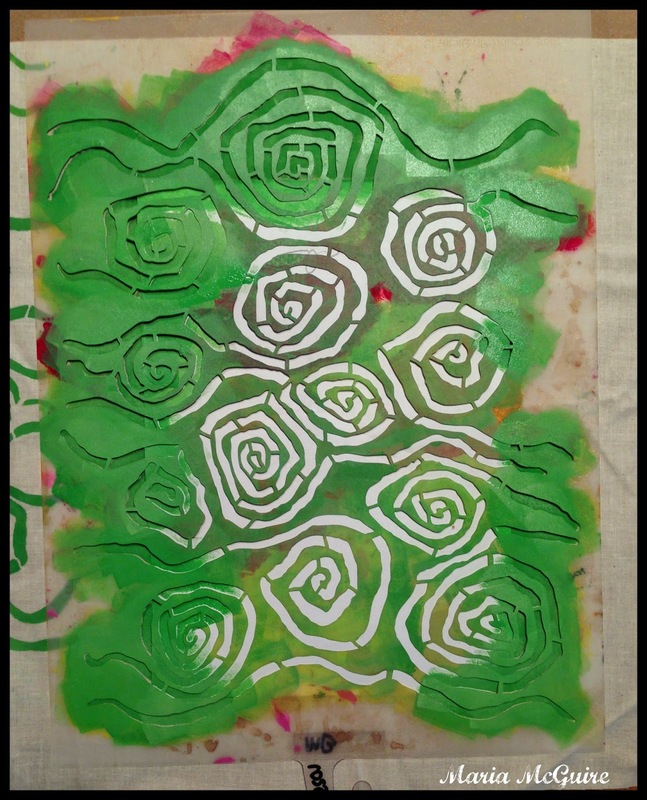 Great work - and I absolutely and totally agree that this stencil is a favorite! Well - chosen - and this TAP technique looks like it would be great fun to try.Thank you! 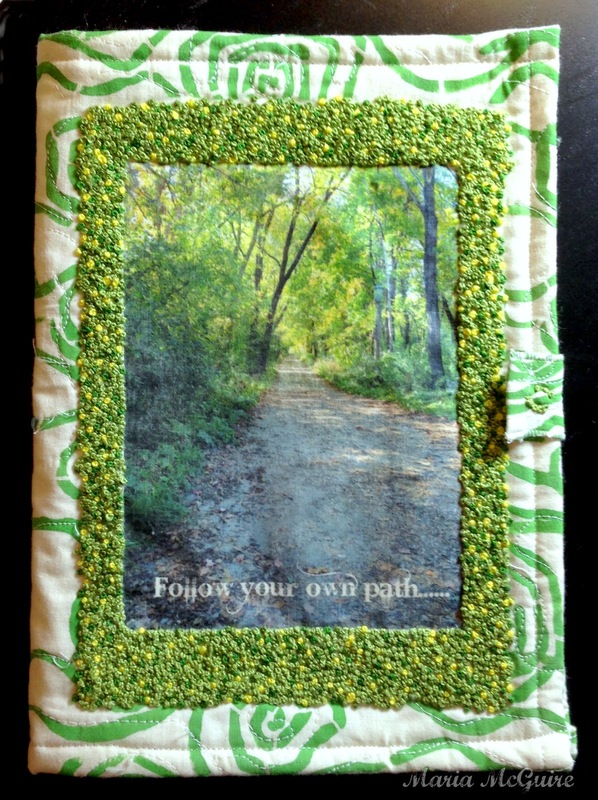 I have to say that I love, love, love what you did with the French knots. Great stencil too. Maria, this may be my favorite. I may not do all of those French knots...much as I love them. That's superb....and those French knots, divine. 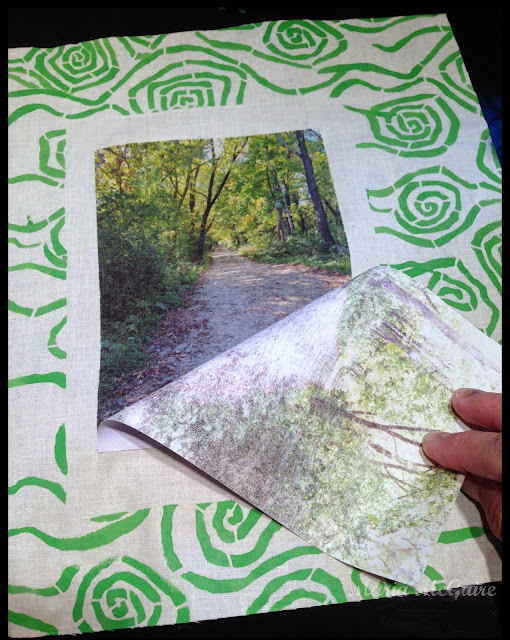 I could use that idea to recover altered books with fabric. THANK YOU. Such a beautiful piece. 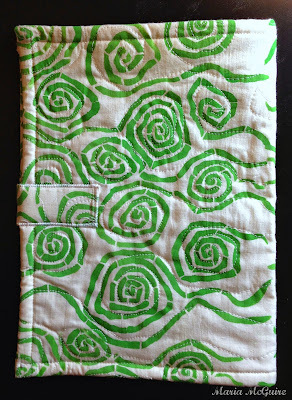 I love the use of the stencils, fabric, and quilting! Wonderful Results! What a great little book! How is the kitchen counter though???? Oh my gosh! I can't even imagine making so many french knots, but what a beautiful piece in the end. Wow! All those French knots! The result is worth the trouble, though--and they are perfect with the photo! No wonder you yelled "Stop!" And you were smart enough to have your camera with you! Yay! This is beautiful!! I've always thought it would be cool to use a favorite photo on fabric, and now you've given me the extra little push I needed. Lovely, lovely work!! This project just blows me away! It is so amazing and beautiful! I love, love, love it!!!!!!! Great project. Wonderful use of the stencils and the tap. But you French knots are fabulous. Thanks for the inspiration. so beautiful!! thanks for the inspiration!! 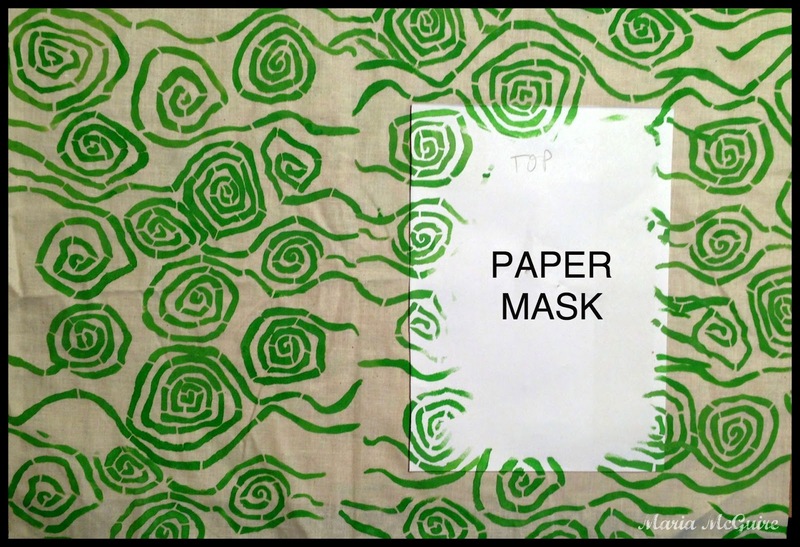 I love what you did with the transfer paper and use of stencils. I love it! It's a great book project. Those french knots are incredible. Thanks for inspiring and sharing! So beautiful! Your photo and the french knots are fabulous! Your journal cover is gorgeous! I love the embroidery and the colors. Thanks for sharing! This is so beautiful! How long did it take to do all those french knots? The texture they added is awesome! Fantastic Maria - my favourite project on the hop!! WOW those French knots!! How your eyes and hands must have throbbed for days... but the end result was so worth it. It was a great frame to the TAP image.Thanks for showing it all. Wow! Great idea and beautiful work! Thanks for sharing it with us. I love your comment- "who needs to buy fabric when you can make it yourself." Your journal is beautiful. Wow! 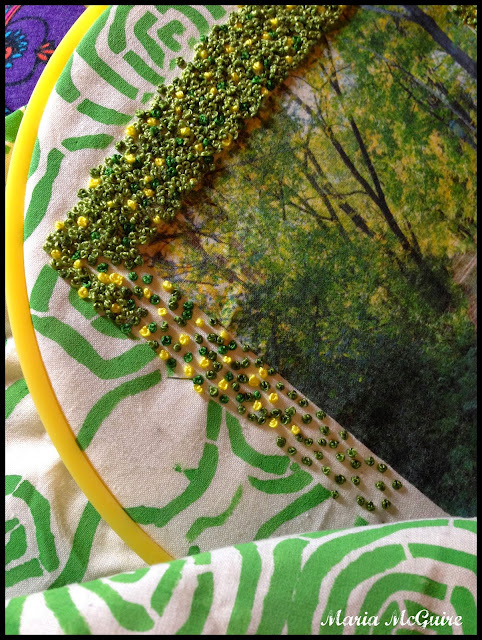 That's a lot of French knots! Seriously,this is a beautiful piece of work, what a lovely Journal cover. Maria, how wonderful! I love the stitching is wonderful. Your art continues to inspire me every time. So multi talented. What a beautiful journal cover! Wow! Now that's an impressive pile of French knots! I'd love a chance to win!